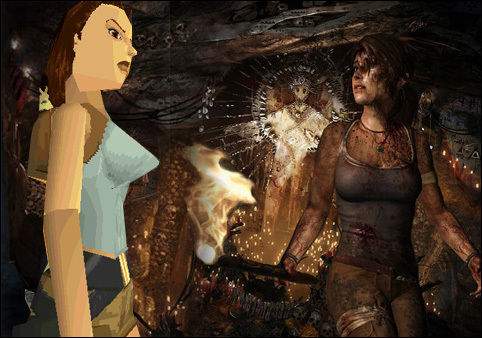 This week Gavin, Stephen and Sera discuss the Tomb Raider series of games. Tomb Raider is a media franchise consisting of video games, comic books, novels, theme park rides and movies, centring around the adventures of the fictional English archaeologist Lara Croft. Since the release of the original Tomb Raider in 1996, the series developed into a lucrative franchise of related media, and Lara went on to become a major icon of the virtual gaming industry. In 2006, Lara Croft was inducted into the Walk of Game and the Guinness Book of World Records has recognised her as the “Most Successful Human Virtual Game Heroine”. The first six games in the series were developed by Core Design, whilst Crystal Dynamics developed the latest four; their fifth game is currently in production. Two movies – Lara Croft: Tomb Raider and Lara Croft Tomb Raider: The Cradle of Life – have been produced starring American actress Angelina Jolie as Lara Croft, the first of which is still the highest-grossing film adaptation of a video game ever released in U.S., and third worldwide.